The Bible becomes an easy book to understand once you learn to use techniques Jesus taught. This book explains how Jesus taught in simple terms a child can understand. Jesus used effective methods of repetition and personal experience to teach His disciples. The same methods have been used in classrooms all over the world. Theology adopted the same simple methods, but applied technical terms few people understand. We need to go back to the original terms and methods Jesus explained. In Mark chapter 4, Jesus promised His disciples if they understood the parable of the farmer sowing seed, they would understand all parables. Jesus didn't teach His disciples how to interpret scripture in a single lesson found in one chapter, but in a series of lessons from chapters 4 to 8. 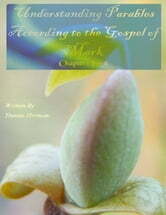 This book explains how and what Jesus taught by following the simple rules of Inductive Bible Study. You can't imagine how easy it is to learn this method until you see how Jesus taught it.